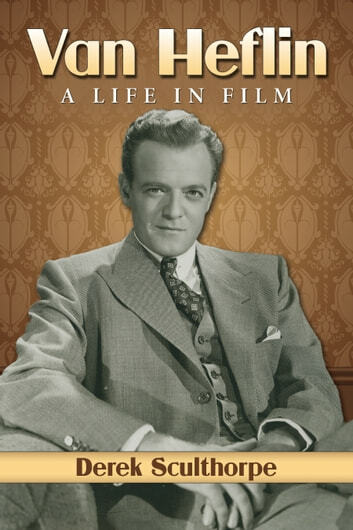 A versatile craftsman, actor Van Heflin was never concerned with popularity or comfortable with stardom. Lauded by his peers, Heflin won over moviegoers with his portrayal of resolute homesteader Joe Starrett in George Stevens’ classic Shane (1953). He impressed in all genres, convincingly portraying every type of character from heel to hero. Van Heflin first garnered attention as the sensitive, alcoholic friend of gangster Johnny Eager (1941), for which he won an Academy Award, and later gave notable performances in a string of noirs, dramas and westerns. He was memorable as the psychotic cop in Joseph Losey’s masterpiece The Prowler (1951) but equally impressive as the doubtful executive in Jean Negulesco’s smart satire Woman’s World (1954). 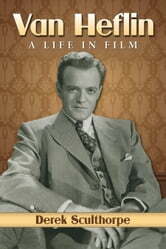 This first full-length biography of Heflin covers his early life as a sailor and his career on stage and screen, providing detailed commentary on all his films.